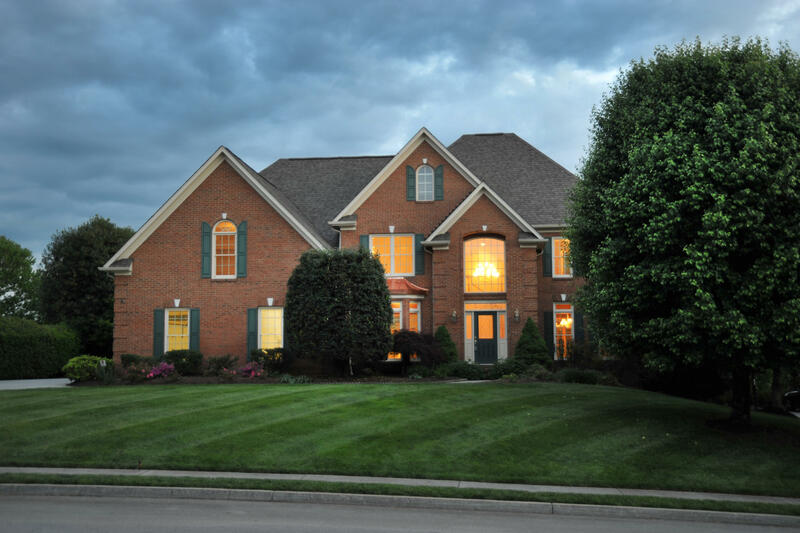 This Farragut featured home for sale is located in the Wentworth subdivision in Farragut at 313 Windham Hill. It has 5 bedrooms, 5 full baths, a large basement rec room, and an asking price of $499,000. If you’re looking at homes for sale in Farragut, be sure to check out what this home has to offer. This Farragut home for sale has a great open floor plan and comes with many updates. The main level has a large two story foyer. There is also a formal dining room with trey ceilings and a living room with a bay window. The family room is spacious as well and opens up into the kitchen, making it perfect for entertaining. The kitchen has dark cabinets, granite counter tops, a center island, and tons of cabinet and counter space. On the second floor, there are four bedrooms. The master suite is large with lots of natural light and trey ceilings. It also has a large attached bath with granite counter tops, dual sinks, and a large jetted tub. This home also has a large basement rec room. This Farragut home for sale also has a great private backyard and deck. Residents of this Farragut neighborhood enjoy a prime location in Farragut, community pool and clubhouse. This Farragut neighborhood is a relatively large subdivision, which is beautifully landscaped and maintained. It consists of roughly 175 homes. These homes were constructed between 1998 and 2000, making a majority of the homes rough ten to fifteen years old. The average sales price of homes for sale in Wentworth range between $315,000 and $443,475, with the average sales price being $381,913. Homes in this neighborhood range between 3,800 and 4,000 square feet, with the average square footage being 3,925 square feet. The Wentworth subdivision also has a great location in Farragut. It is close to grocery stores, schools, and shopping areas. It is also close to the Turkey Creek Shopping Center which is home to many popular restaurants and shopping destinations. Does this Farragut home for sale interest you? If so, please let us know if there is anyway that Knoxville Home Team can assist you. Rick can be reached at 865-696-9002 or via email at Rick@KnoxvilleHomeTeam.Com. Kati can be reached at Kati@KnoxvilleHomeTeam.Com or by phone at 865-392-5880.